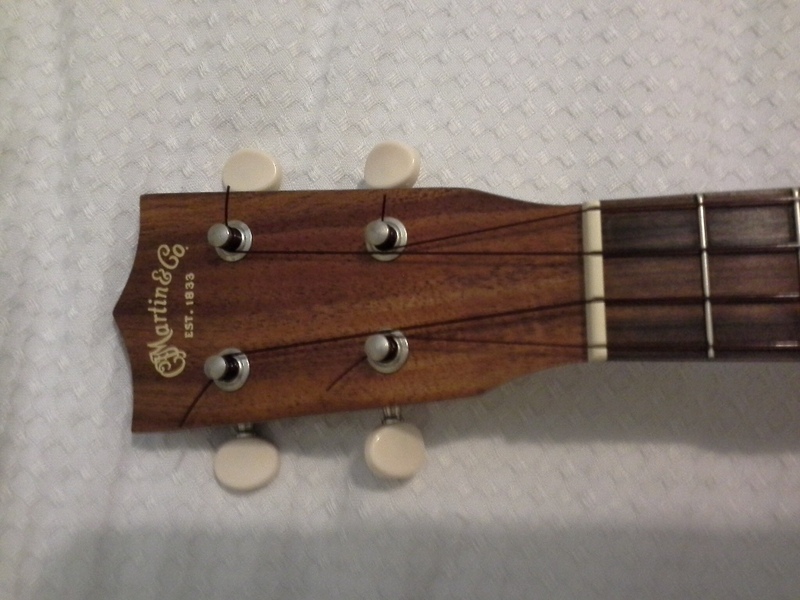 This Mexican-built concert Martin is a very nice uke. 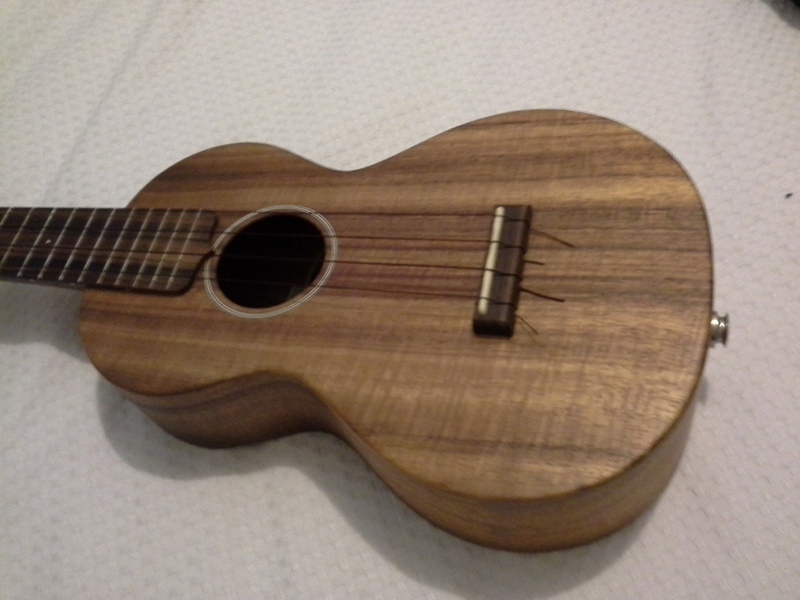 Although I’ve been told the look of the top and back wood can vary considerably between individual ukes, I think mine has a very fine appearance. 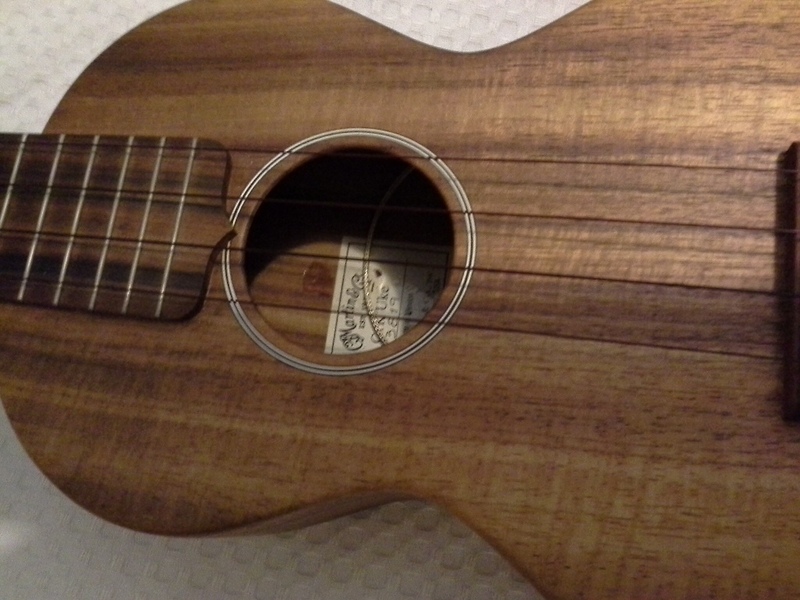 The uke’s top wood might not be as thin as the original Martin concert ukes, but this one has good volume and tone. The intonation (in tune-ness) is excellent, although I might not have checked the tuning before I made the video in this post. I thought the ends of the frets were a little sharp-to-the-touch as they came from the factory, so I’ve rounded them with a fret file. The position markers are small and elegant. 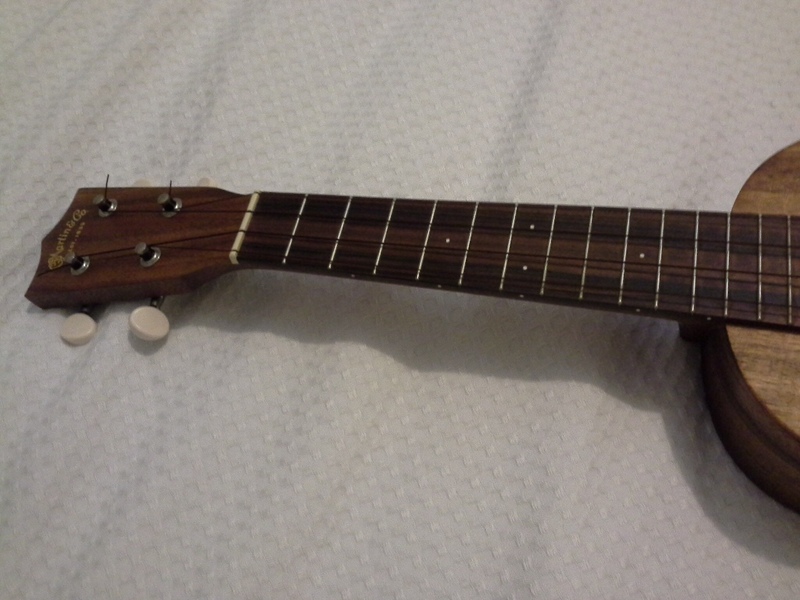 The Worth strings that I’ve just put on seem to be ideal for the uke. I have tried Worth Clear, Martin, and Nylgut strings, but these Worth brown (medium) seem to give the best balance of tone, volume and feel. I added the pick-up post purchase. 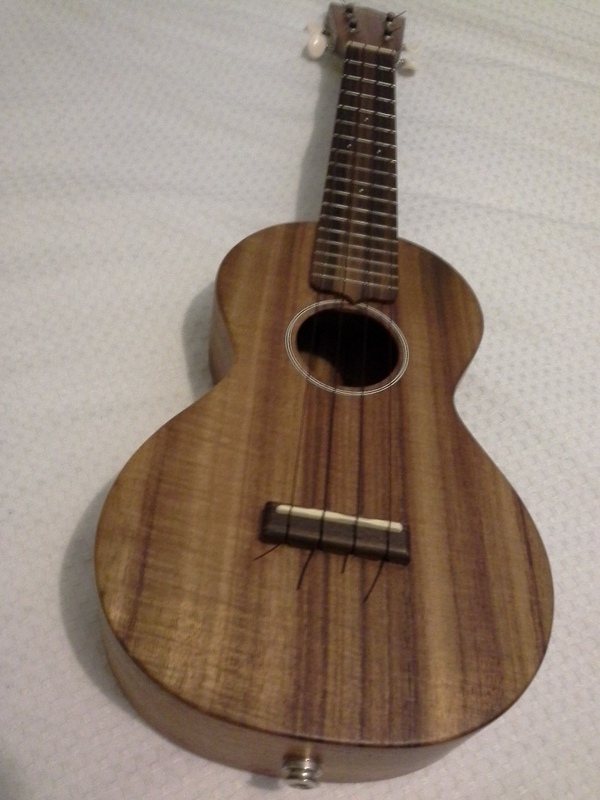 Nice lookin’ uke. Had a Martin Style 2 a few years ago and foolishly traded it off. Play a Kamaka tenor now. thanks for dropping by — Kamaka! enjoy!